Robert Luff & Co are delighted to offer this well presented end of terrace house located in Tarring with great proximity to schools and shops. The property has two bedrooms, living room, modern fitted kitchen, living room and conservatory along with the family bathroom/w.c. Outside there is parking and a garage and there is a good size West facing rear garden. Internal viewing is strongly recommended. Front door, stairs to first floor. 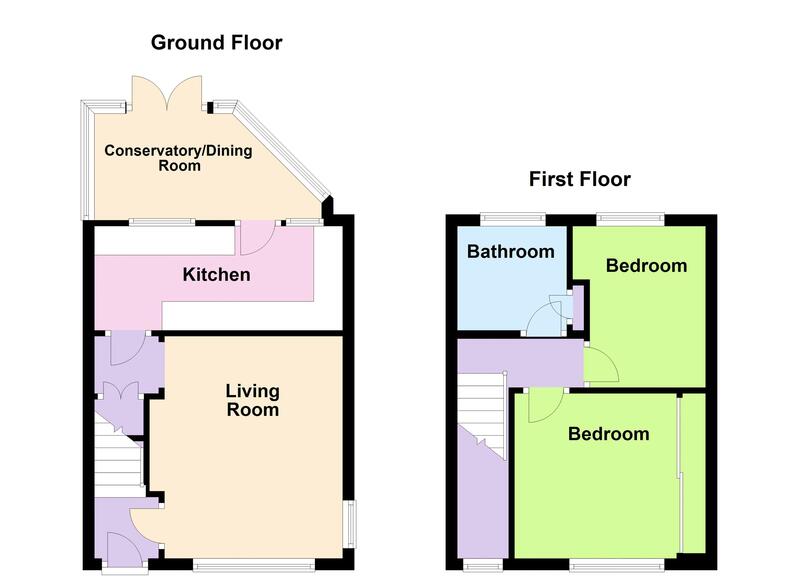 Double glazed window to front and side, understairs cupboard, radiator, TV and telephone point. Measurements to include built in units. Matching range of floor and wall units with inset sink and drainer, integrated dishwasher and fridge, electric oven and induction hob, under unit lighting, kickboards with fitted LED lighting, tiled splashback, cupboard housing central heating boiler, radiator, two double glazed windows to rear and double glazed door to rear. uPVC construction, double glazed windows to sides and rear, double glazed door to rear garden. Access to loft. Double glazed frosted window overlooking the staircase. Double glazed window to front, fitted wardrobes, TV point, radiator. Double glazed frosted window to rear, single pedestal wash hand basin, dual button w.c, P shaped bath with electric shower over, storage cupboard, tiled walls. Shingle driveway providing off road parking, enclosed by fencing, laid to lawn with flower borders. Laid to lawn with two patio areas to front and rear, enclosed by panel fencing, covered bar area to rear with electric light, gated side access.